Doucette conjured up the winning “It’s Always Cheesy” grilled cheese sandwich. It consisted of provolone and mozzarella, roasted basil, and cured heirloom tomatoes on house-made focaccia bread, grilled in a garlic parmesan butter, and served with a Gouda cheese dipping sauce. Which is now official on the Mavor’s menu. 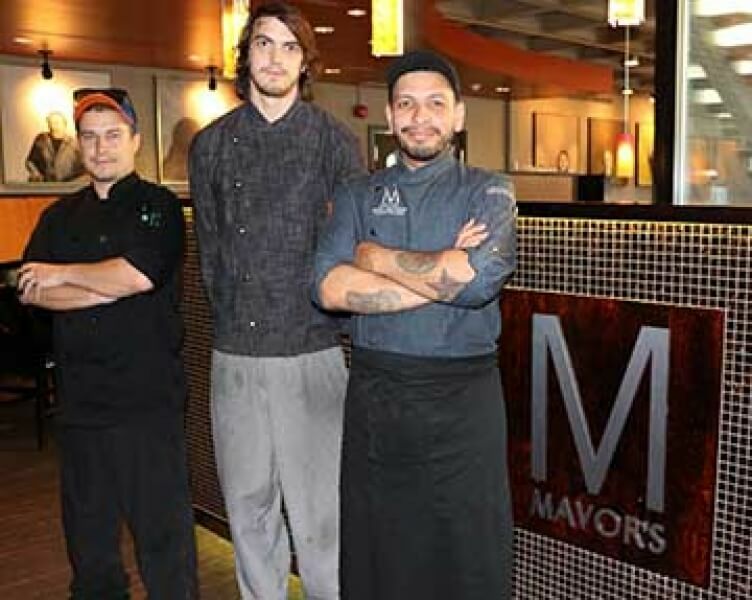 Photo Cutline: The Winning Chefs of Mavor’s Restaurant. From Right to Left: Executive Chef, Miguel Cervantes, Sous Chef, Craig Doucette, and Line Cook, Andre Boucher.